Set within lush fairways and rolling dunes, which are richly adorned with the most spectacular, indigenous Fynbos and looking out over the magnificent panorama of the Atlantic Ocean and Table Mountain, The Lodge in conjunction with Atlantic Beach Golf Club, offers guests world-class conference and function facilities. 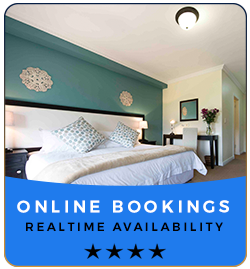 Melkbosstrand is situated a convenient 25 minutes from the Cape Town city centre and 40 minutes from Cape Town International Airport, guests can look forward to a tranquil setting just a stone’s throw away from the busy, bustling city. In addition to our 3 air-conditioned function venues, which are able to host up to 150 people inside and an additional 180 people in an outdoor marquee – our flexible, personalised service, diverse range of amenities and our highly competitive rates, make Atlantic Beach Golf Club the perfect venue to host your next function or conference in Melkbosstrand, Cape Town. Apart from fully customised catering services; additional amenities such as our on-site Wellness Spa and sporting facilities such as golf, extensive equipment hire, and ample secure parking, the Lodge boutique hotel offers 4-star luxurious, yet affordable accommodation in Melkbosstrand. Whether you are planning something more personal such as a wedding or birthday party, or should you be looking to host an event such as a gala dinner, charity fundraiser, product launch or Annual General Meeting – our talented teams at The Lodge and Atlantic Beach Golf Club look forward to helping you ensure that your event is a resounding success!